The Break – Season 2 is now on Netflix. To begin with, this season isn’t quite as strong as Season 1, but this Belgian crime thriller is still well worth watching. Check out both Season 1 and 2 on Netflix now! The Break – Season 2 is on Netflix in the US now. If you liked Season 1 of The Break (org. title La trêve) then you should absolutely check out this second season as well. The story takes place a few years after the first season. Many of the characters are still there, but the crime being investigated is a new one. To begin with, this season of The Break isn’t quite as strong as Season 1, but it is still well worth watching. Also, the lead character Yoann Peeters is still pretty messed up – in many ways! If you expect Peeters to have learned his lesson from the outcome of the previous season, then you will be proved wrong. He absolutely has not! We all know that some people never learn and Inspector Yoann Peeters is certainly one of them. Sure, Season 2 of The Break starts out with him being an instructor instead of an active police detective. But all it takes is one person asking for him to look into a case and he’s right back where we left him in season 1. Also, he keeps seeing (and likes talking to) Sébastian Drummer, which shows a lot about his state of mind. Yoann Blanc still does an amazing job of portraying the character, Yoann Peeters. His daughter, Camille (Sophie Breyer) is also back and continues to try and take care of her dad while making a life for herself. Season 2 starts out with a woman found murdered in a pool. This may sound like the Netflix series Perfume (which was brilliant! ), but The Break is an entirely different beast. Just like it was the case with the mystery of season 1, it’s the characters of The Break that keep you coming back for more with season 2. The entire supporting cast for this new murder case is mostly new, so you won’t know any of them. However, they are at least as interesting as the ones from the previous season. I don’t want to give away too much, but we do still have some sibling drama. Or actually, there are several sibling elements to the story in season 2. In very different ways and for very different reasons. At the heart of this mystery is Dany Bastin. he’s portrayed by Aurélien Caeyman, who does an excellent job. Apart from doing a short film in 2012, this is the only acting credit for Aurélien Caeyman according to IMDb. The character Dany Bastin is the victim in so many ways – and yet not in other ways. You feel for him pretty early on and you should. The guy has had a rough life so far! Watch Season 2 of The Break on Netflix in the US now! Just like season 1 of The Break, season 2 consists of 10 episodes. Also, Yoann Peeters still thinks he has cracked the case (that he’s not officially working on) whenever a new lead comes along. Even though The Break – Season 2 wasn’t quite as strong as the first season, it is still so much better than other shows out there. If you enjoy thriller, crime, and mystery shows, this is perfect for you. But do start out with season 1 of The Break on Netflix. Otherwise, you won’t know half of what is going on. It feels like it’s just a matter of time before a US remake is announced. This is fine by me since I’m sure this story work perfectly if taking place in small town USA. The Break Season 2 was released on Netflix in the US (and most other countries) from February 9, 2019. 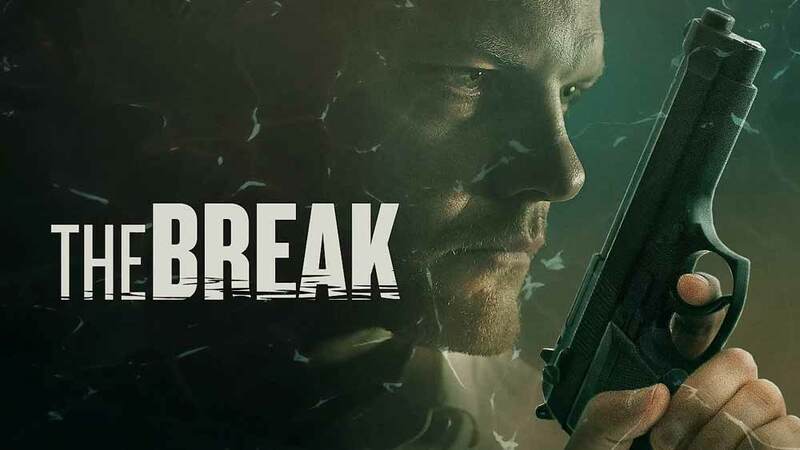 Season 2 of The Break originally aired on a TV channel in Belgium (org. title La trêve) in November 2018. Yoann Peeters reluctantly agrees to help Dr. Orban look into a murder case involving one of her patients, only to find his life upended once again.